Any of you that have read a number of my posts may have picked up on the fact that I am quite a large Quentin Tarantino enthusiast, in fact I have been counting down the days to the release of Django Unchained for months now. Throughout his career, Tarentino has made a number of risky decisions when it comes to the content of his films but nothing was riskier than what he unleashed on the world when he created Django Unchained. Set two years before the start of the Civil War, Django Unchained is the story of two unlikely business partners. Doctor King Schultz (Christoph Waltz) is a German bounty hunter, searching across Southern America for marks he can make money off of. When we first meet Dr. Schultz, he is searching for three men known as the Brittle brothers. Having never seen the brothers, Dr. Schultz enlists the help of a slave who has seen them, Django (Jamie Foxx) who quickly becomes Django Freeman when Schultz frees him. After travelling with one another, dispatching of the Brittle brothers and getting to know one another, Django and Schultz set up a deal. If Django travels with Schultz all winter and helps him with his bounties, Schultz will help save Django’s wife, Broomhilda (Kerry Washington) from the control of the evil plantation owner Calvin Candie (Leonardo DiCaprio). Posing as two me who buy Mandingo fighters, people who buy slaves with the express purpose of having them fight to the death, Django and Schultz attempt to dupe Candie and save the German speaking, married slave named Broomhilda. Quentin Tarantino took a risk while making this film, looking at the Old South and slavery in a way that could easily be seen as disrespectful. 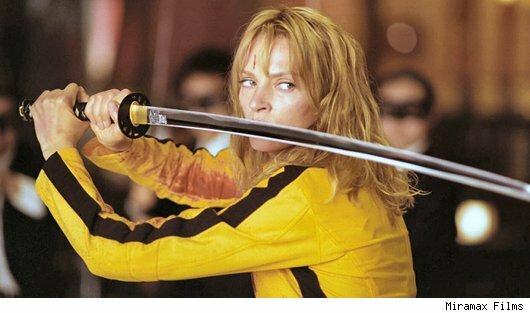 Many have asked how Tarantino had the right to make a film that was so arrogantly racist in its premise, script and concept. After seeing the film, I do understand how some people could have been upset and offended by it. I took the content of the film a different way, and while maybe this makes me ignorant, I saw a film that blatantly poked at and made fun of slavery. I mainly saw this in Doctor King Schultz, a man from another country who couldn’t seem to grasp the idea of slavery. The majority of the script written for Schultz consisted of quick witted, sharp tongued humor and a lot of the humor was derived from Schultz’s idea that slavery was ridiculous, a theme that carried throughout the film. In my opinion, this film should come with a disclaimer for Quentin fans only. Django Unchained contained every aspect a Quentin Taranino film should contain: witty and dark humored dialogue, gratuitous violence, plenty of action and a cast of ridiculously outrageous characters including a hilarious cameo by Don Johnson as the plantation owner Big Daddy. Other cameos included Jonah Hill and Samuel L. Jackson as a house slave. As far as the Oscar race goes, I could see a number of nominations being given to Django Unchained. Christof Waltz stole nearly every scene he was in, which was most of them, and the only time he wasn’t center of attention was when he shared the screen with Leonardo DiCaprio. Jamie Foxx did a great job as Django but Waltz and DiCaprio both shined with outstanding acting skill, giving them both the option of nomination. It was clearly Quentin who had his hands on the camera, the shots mirror his other films, but for a man to be able to tell such a story with just a camera always brings up the possibility of a nomination. 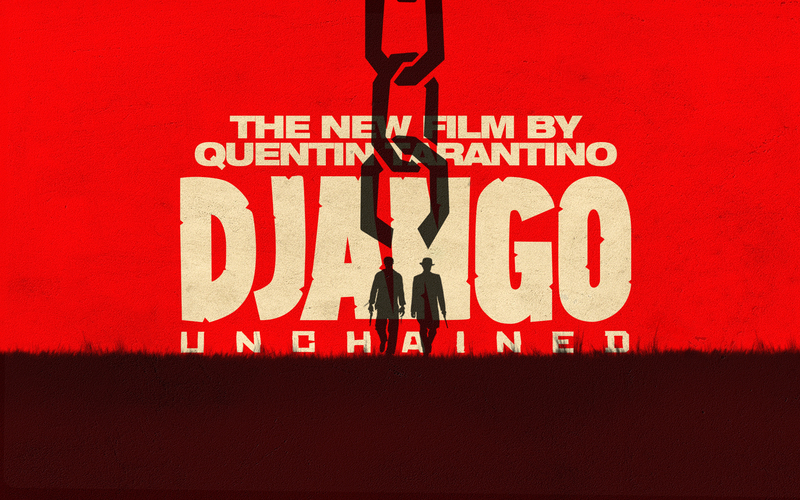 Though it is a year filled with outstanding films, I think Django Unchainced has the possibility to earn itself a Best Picture nomination. I myself give the film an 8.5 out of 10. It is an example of outstanding work from Quentin Tarantino but if his over the top style isn’t always your favorite, then I would steer clear of this film. What originally drew my attention to the film Diggers was the cast. With Paul Rudd, Ken Marino (Ron Donald from Party Down) and Lauren Ambrose (Claire Fischer from Six Feet Under), I figured this would have to be a fairly amusing film. While the film did have its funny moments, it was much darker than I expected. Though it wasn’t exactly what I expected, I really enjoyed watching this film. This film takes a look at a brother and sister duo as they attempt to deal with the sudden death of their father, played by Beeson Carroll. Hunt (Paul Rudd) was the one who found his father after he had passed away. He had been waiting for Hunt in his fishing boat where the two met often for their jobs, digging for clams. A funeral is quickly held and the audience is introduced to the main characters. We have Hunt’s sister Gina (Maura Tierney) who is very close with Hunt and even closer with her father whom she lived with. 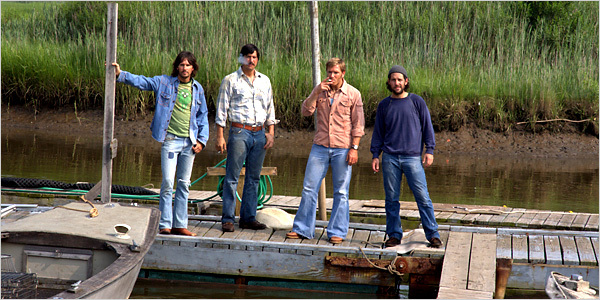 The other players are Hunt’s clam digging friends: the family man Lozo (Ken Marino) who is married to Julie (Sarah Paulson), the horn dog Jack (Ron Eldard) and the philosopher Cons (Josh Hamilton). While each of the side characters do have good side stories, the film is really about how Gina and Hunt handle the same situation in very different ways. Both Gina and Hunt have lived in the same town all their lives and both have had a reason to stay there. They both had their father, they each have their own job and they have each other. After their father passed, both Gina and Hunt were forced to look at their reasons for sticking around. Gina realizes that she is happy where she is, with her own house, a job she enjoys and friends. Hunt on the other hand hates the town and hates his job. With no real reason to stay, Hunt tries to make up reason to force him to be anchored down. He convinces himself that Gina needs to be watched, protected and taken care of though she is perfectly fine on her own. He also begins a relationship with an out of town girl Zoey (Laura Ambrose). Hunt tries to convince himself that the relationship is getting serious but it becomes clear that for Zoey, it is just a summer fling. This film had more layers than I anticipated, giving the characters room to grow and develop. Not only are Gina and Hunt going over their reasons to stay in their hometown, they are also forced to think about their time with their father. Gina pretty much knew where she stood but a little investigation shows Hunt that his father appreciated him more than he previously thought. On top of that, a commercial clamming company has moved into town and started buying up the surrounding water. Losing places to dig for clams, Hunt and his friends are left to try and fend for themselves while making enough money to support their own lifestyles, which in turn forces them to consider if their freelance digging is something that can support them forever. While there was nothing particularly special about this film, I found it to be oddly compelling and enjoyable to watch. What really drew me into the film was the characters. There was a sarcasm and grittiness that existed in the dialogue, the set and the personality of the film that made it easy to connect with. I felt as if I were watching real people deal with real problems. The film’s ability to draw me in could be attributed mainly to the acting as most of the actors acted like real people. I give this film a 7 out of 10, it’s not a must see but it is certainly worth watching.